Entrepreneurial orientation, market orientation, total quality management, organizational culture, organisational performance. In the contemporary, Entrepreneurial orientation and Market orientation have become important topics among business academics and practitioners. Since business environment has become more competitive, the need to develop and improve internal resources is now a prerequisite for global survival; entrepreneurial orientation and market orientation are now the crucial falcons that are assisting the firms to achieve such a niche. Despite the importance of MO and EO, researches that link these concepts to SMEs performance are very limited. In this view, through extensive literature view, this study has found a theoretical link that exists between entrepreneurial orientation, market orientation and performance of SMEs and also developed conceptual model for empirical validations. This study serves not only to clarify the relationship between entrepreneurial orientation, market orientation and SMEs performance, it also explains the role which TQM plays as a mediator in this relationship which most studies have neglected. Again, the conceptual model also examines the moderation role of the organizational culture in the relationship between TQM and SMEs performance. Adis, A. A. A., & Jublee, E. (2010). Market orientation and new product performance: The mediating role of product advantage. African journal of marketing management, 2(5), 91-100. Agbola, R. M. (2013). Does Total Quality Management Affect the Performance of Small and Medium Enterprises? A Case of Manufacturing SMEs in Ghana. Al-Dhaafri, H. S., Yusoff, R. Z. B., & Al-Swidi, A. K. (2013). The Effect of Total Quality Management, Enterprise Resource Planning and the Entrepreneurial Orientation on the Organizational Performance: The Mediating Role of the Organizational Excellence---A Proposed Research Framework. International Journal of Business Administration, 4(1), 66. Al-Swidi, A. K., & Mahmood, R. (2012). Total quality management, entrepreneurial orientation and organizational performance: The role of organizational culture. African Journal of Business Management, 6(13), 4717. Ambad, S. N. A., & Wahab, K. A. (2013). Entrepreneurial orientation among large firms in Malaysia: Contingent effects of hostile environments. International Journal of Business and Social Science, 4(16). Appiah-Adu, K., & Ranchhod, A. (1998). Market orientation and performance in the biotechnology industry: An exploratory empirical analysis. Technology Analysis & Strategic Management, 10(2), 197-210. Aziz, N. A., & Omar, N. A. (2013). Exploring the effect of internet marketing orientation, learning orientation and market orientation on innovativeness and performance: SME (exporters) perspectives. Journal of Business Economics and Management, 14(sup1), S257-S278. Aziz, N. A., & Yassin, N. M. (2010). How will market orientation and external environment influence the performance among SMEs in the agro-food sector in Malaysia? International Business Research, 3(3), 154. Baba, Deros, M., Mohd Yusof, S. R., Azhari, & Salleh, M. (2006). A benchmarking implementation framework for automotive manufacturing SMEs. Benchmarking: An International Journal, 13(4), 396-430. Barney, J. B. (1986). Organizational culture: can it be a source of sustained competitive advantage? Academy of management review, 11(3), 656-665. Black, S. A., & Porter, L. J. (1996). Identification of the Critical Factors of TQM*. Decision sciences, 27(1), 1-21. Brah, S. A., & Ying Lim, H. (2006). The effects of technology and TQM on the performance of logistics companies. International Journal of Physical Distribution & Logistics Management, 36(3), 192-209. Calvo-Mora, A., Ruiz-Moreno, C., Picón-Berjoyo, A., & Cauzo-Bottala, L. (2014). Mediation effect of TQM technical factors in excellence management systems. Journal of Business Research, 67(5), 769-774. Culture: Based on the Competing Values Framework, Addison-Wesley Publishing, Reading, MA. Carton, RB & Hofer, CW 2006, Measuring Organizational Performance: Metrics for Entrepreneurship and Strategic Management Research, Edward Elgar, Northampton, MA. Chao, M. C. H., & Spillan, J. E. (2010). The journey from market orientation to firm performance: A comparative study of US and Taiwanese SMEs. Management Research Review, 33(5), 472-483.
environmental involvement, and environmental product quality”, Journal of Business Ethics, pp. 1-22. Chin, C. H., Lo, M. C., & Ramayah, T. (2013). Market Orientation and Organizational Performance. SAGE Open, 3(4), 2158244013512664. Chironga, M., Leke, A., Lund, S., & van Wamelen, A. (2011). Cracking the next growth market: Africa. Harvard Business Review, 89(5), 117-+. Covin, J. G., & Lumpkin, G. T. (2011). Entrepreneurial orientation theory and research: Reflections on a needed construct. Entrepreneurship Theory and Practice, 35(5), 855-872. Covin, J. G., & Slevin, D. P. (1986). The development and testing of an organizational-level entrepreneurship scale. Frontiers of entrepreneurship research, 1(1986), 626-639. Covin, J. G., & Wales, W. J. (2012). The measurement of entrepreneurial orientation. Entrepreneurship Theory and Practice, 36(4), 677-702. Daft, R.L. (2005). The Leadership Experience, 3rd ed., Thomson-Southwestern, Vancouver. Day, G. S. (1994). The capabilities of market-driven organizations. The Journal of Marketing, 37-52. Denison, R. D. (1990). Corporate culture and organisational effectiveness. New York: John Wiley & Sons. Dimitratos, P., & Plakoyiannaki, E. (2003). Theoretical foundations of an international entrepreneurial culture. Journal of International entrepreneurship,1(2), 187-215. Duarte, A. L. D. C. M., Brito, L. A. L., Di Serio, L. C., & Martins, G. S. (2011). Operational practices and financial performance: an empirical analysis of Brazilian manufacturing companies. BAR-Brazilian Administration Review, 8(4), 395-411. Ebrahimi, M., & Sadeghi, M. (2013). Quality management and performance: An annotated review. International Journal of Production Research, 51(18), 5625-5643. Fening, F. A. (2012). Impact of quality management practices on the performance and growth of small and medium sized Enterprises (SMEs) in Ghana. International Journal of Business and Social Science, 3(13). Fernandes, A., Felgueira, T., & Lourenço, L. (2015, August). Quality, Entrepreneurial Orientation and Performance: An Exploratory Study. In Toulon-Verona Conference" Excellence in Services". Filser, M., Eggers, F., Kraus, S., & Málovic, É. (2014). The effect of financial resource availability on entrepreneurial orientation, customer orientation and firm performance in an international context: an empirical analysis from Austria and Hungary. Journal of East European Management Studies, 19(1), 7-30. Flynn, B. B., Schroeder, R. G., & Sakakibara, S. (1994). A framework for quality management research and an associated measurement instrument. Journal of Operations management, 11(4), 339-366. Gambi, L. D. N., Boer, H., Gerolamo, M. C., Jørgensen, F., & Carpinetti, L. C. R. (2015). The relationship between organizational culture and quality techniques, and its impact on operational performance. International Journal of Operations & Production Management, 35(10), 1460-1484. Gimenez-Espin, J. A., Jiménez-Jiménez, D., & Martínez-Costa, M. (2013). Organizational culture for total quality management. Total Quality Management & Business Excellence, 24(5-6), 678-692. Goedhuys, M., & Sleuwaegen, L. (2010). High-growth entrepreneurial firms in Africa: a quantile regression approach. Small Business Economics, 34(1), 31-51. Gronum, S., Verreynne, M. L., & Kastelle, T. (2012). The role of networks in small and medium‐sized enterprise innovation and firm performance. Journal of Small Business Management, 50(2), 257-282. Haffar, M., Al-Karaghouli, W., & Ghoneim, A. (2013). The mediating effect of individual readiness for change in the relationship between organisational culture and TQM implementation. Total Quality Management & Business Excellence, 24(5-6), 693-706. Hassim, A. A., Asmat-Nizam, A. T., & Bakar, A. R. A. (2011). The effects of entrepreneurial orientation on firm organisational innovation and market orientation towards firm business performance. International on Sociality ND Economics Development. IPEDR, 10, 280-284. Herath, H. M. A., & Mahmood, R. (2013). Strategic orientation based research model of SME performance for developing countries. Review of Integrative Business and Economics Research, 2(1), 430. Hilman, H. (2009). Relationship of competitive strategy, strategic flexibility and sourcing strategy on organizational performance. Unpublished PhD Dissertation. Hilman, H., Abubakar, A., & Kaliapan, N. (2017). The effect of quality culture on university performance. 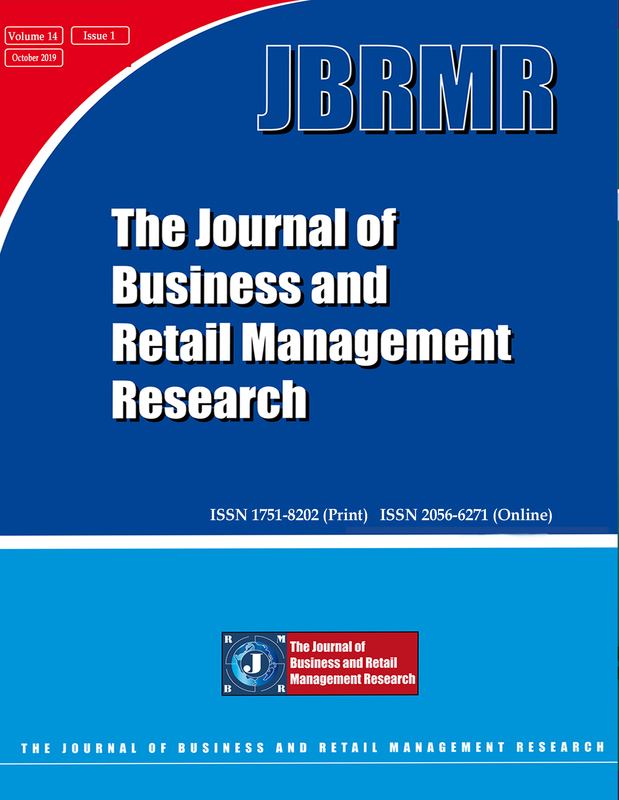 Journal of Business & Retail Management Research, 11(4), 25-33. Ho, S. H., Wu, J. J., & Chen, Y. (2010). Influence of corporate governance and market orientation on new product preannouncement: evidence from Taiwan's electronics industry. Asia Pacific Management Review, 15(1). Hung, R. Y. Y., Lien, B. Y. H., Fang, S. C., & McLean, G. N. (2010). Knowledge as a facilitator for enhancing innovation performance through total quality management. Total Quality Management, 21(4), 425-438. Irani, Z., Beskese, A., & Love, P. E. D. (2004). Total quality management and corporate culture: constructs of organisational excellence. Tec novation, 24(8), 643-650. Islam, M. A., Khan, M. A., Obaidullah, A. Z. M., & Alam, M. S. (2011). Effect of entrepreneur and firm characteristics on the business success of small and medium enterprises (SMEs) in Bangladesh. International Journal of Business and Management, 6(3), 289. Ismail Salaheldin, S. (2009). Critical success factors for TQM implementation and their impact on performance of SMEs. International journal of productivity and performance management, 58(3), 215-237. Jabeen, R. U. B. I. N. A., Shehu, M. S., Mahmood, R. O. S. L. I., & Kofarmata, B. A. (2014). TQM and Knowledge management impacts on SME performance. International Postgraduate Journal Business Journal,6(2), 23-43. Jabeen, R., & Mahmood, R., (2015). The effects of Total Quality Management and Market Orientation on Business Performance of Small and Medium Enterprises in Pakistan. British Journal of Economics, Management & Trade 5(4): 408-418. Jinhui Wu, S., Zhang, D., & Schroeder, R. G. (2011). Customization of quality practices: the impact of quality culture. International Journal of Quality & Reliability Management, 28(3), 263-279. Julian, C. C., Mohamad, O., Ahmed, Z. U., & Sefnedi, S. (2014). The market orientation–performance relationship: The empirical link in export ventures. Thunderbird International Business Review, 56(1), 97-110. Kannan, V. R., & Tan, K. C. (2005). Just in time, total quality management, and supply chain management: understanding their linkages and impact on business performance. Omega, 33(2), 153-162. Kaplan, R. S., & Norton, D. P. (1996). The balanced scorecard: translating strategy into action. Harvard Business Press. Kaplan, R. S., & Norton, D. P. (2000). The strategy focused organisation. Harvard Business School Press, Boston. Kaplan, R.S., & Norton, D.P. (1992). The balanced scorecard- measures that drive performance. Harvard Business Review, 70 (1), 71-79. Karani, S. R., & Bichanga, W. O. (2012). Effects of Total Quality Management implementation on business performance in service institutions: A case of Kenya Wildlife Services. International Journal of Research Studies in Management, 1(1). Kaynak, H. (2003). The relationship between total quality management practices and their effects on firm performance. Journal of operations management, 21(4), 405-435. Keh, H. T., Nguyen, T. T. M., & Ng, H. P. (2007). The effects of entrepreneurial orientation and marketing information on the performance of SMEs. Journal of business venturing, 22(4), 592-611. Keller, K. L., & Richey, K. (2006). The importance of corporate brand personality traits to a successful 21st century business. Journal of Brand Management, 14(1), 74-81. Kim, D. Y., Kumar, V., & Kumar, U. (2012). Relationship between quality management practices and innovation. Journal of Operations Management, 30(4), 295-315. Kober, R., Subraamanniam, T., & Watson, J. (2012). The impact of total quality management adoption on small and medium enterprises’ financial performance. Accounting & Finance, 52(2), 421-438. Kohli, A. K., & Jaworski, B. J. (1990). Market orientation: the construct, research propositions, and managerial implications. The Journal of Marketing, 1-18. Kumar, V., Choisne, F., de Grosbois, D., & Kumar, U. (2009). Impact of TQM on company's performance. International journal of quality & reliability management, 26(1), 23-37. Lai, K. H. (2003). Market orientation in quality-oriented organizations and its impact on their performance. International Journal of Production Economics, 84(1), 17-34. Lam, S. Y., Lee, V. H., Ooi, K. B., & Lin, B. (2011). The relationship between TQM, learning orientation and market performance in service organisations: An empirical analysis. Total Quality Management & Business Excellence, 22(12), 1277-1297. Lam, S. Y., Lee, V. H., Ooi, K. B., & Phusavat, K. (2012). A structural equation model of TQM, market orientation and service quality: Evidence from a developing nation. Managing Service Quality: An International Journal, 22(3), 281-309. Li, Y., Wei, Z., & Liu, Y. (2010). Strategic Orientations, Knowledge Acquisition, and Firm Performance: The Perspective of the Vendor in Cross‐Border Outsourcing. Journal of Management Studies, 47(8), 1457-1482. Li, Y., Zhao, Y., Tan, J., & Liu, Y. (2008). Moderating effects of entrepreneurial orientation on market orientation‐performance linkage: Evidence from Chinese small firms*. Journal of small business management, 46(1), 113-133. Litton, S. (2001). Total quality management-concept articulation. Available at: www. Unf. Edu/&, 8764. Liu, Q. H., & Wang, T. (2009, October). Market orientation and corporate performance: The mediated effect of marketing capability. In Industrial Engineering and Engineering Management, 2009. IE&EM'09. 16th International Conference on (pp. 2098-2102). IEEE. MacDougall, S. L., & Pike, R. H. (2003). Consider your options: changes to strategic value during implementation of advanced manufacturing technology. Omega, 31(1), 1-15. Madrid-Guijarro, A., Auken, H. V., & García-Pérez-de-Lema, D. (2007). An analysis of factors impacting performance of Spanish manufacturing firms. Journal of Small Business & Entrepreneurship, 20(4), 369-386. Mahmoud, M. A. (2011). Market orientation and business performance among SMEs in Ghana. International Business Research, 4(1), 241. Mahmud, N., & Hilmi, M. F. (2014). TQM and Malaysian SMEs performance: The mediating roles of organization learning. Procedia-Social and Behavioural Sciences, 130, 216-225. Meftah Abusa, F., & Gibson, P. (2013). Experiences of TQM elements on organisational performance and future opportunities for a developing country. International Journal of Quality & Reliability Management, 30(9), 920-941. Miller, D. (2011). Miller (1983) revisited: A reflection on EO research and some suggestions for the future. Entrepreneurship Theory and Practice, 35(5), 873-894. Mohammad Mosadegh Rad, A. (2006). The impact of organizational culture on the successful implementation of total quality management. The TQM Magazine, 18(6), 606-625. Mohr-Jackson, I. (1998). Conceptualizing total quality orientation. European Journal of Marketing, 32(1/2), 13-22. Mokhtar, S. S. M., & Yusoff, R. Z. (2012). The Influence of Market Orientation, Strategic Quality Management on the Performances of Malaysian Manufacturing Firms. marketing in established firms. Journal of Business Venturing, 2(3), 247-259. Narver, J. C., & Slater, S. F. (1990). The effect of a market orientation on business profitability. The Journal of marketing, 20-35. Obiwuru, T. C., Okwu, A. T., Akpa, V. O., & Nwankwere, I. A. (2011). Effects of leadership style on organizational performance: A survey of selected small-scale enterprises in Ikosi-Ketu council development area of Lagos State, Nigeria. Australian Journal of Business and Management Research, 1(7), 100. Olavarrieta, S., & Friedmann, R. (2008). Market orientation, knowledge-related resources and firm performance. Journal of business research, 61(6), 623-630. Pérez, V. F., & Gutiérrez, L. (2013). External managerial networks, strategic flexibility and organisational learning: a comparative study among non-QM, ISO and TQM firms. Total Quality Management & Business Excellence, 24(3-4), 243-258. Phokha, A., & Nonsrimuang, N. (2013). The effects of entrepreneurial orientation, learning orientation, market driving approach and strategic market planning capability on firm performance. Journal of International Business & Economics, 13(3), 187-204. Polat, I., & Mutlu, H. M. (2012). The impacts of market orientation, entrepreneurial orientation, environmental uncertainty and internationalization speed on firm performance. European Researcher, (27), 1248-1254. Prajogo, D. I., & Hong, S. W. (2008). The effect of TQM on performance in R&D environments: A perspective from South Korean firms. Tec novation, 28(12), 855-863. Prajogo, D. I., & Sohal, A. S. (2003). The relationship between TQM practices, quality performance, and innovation performance: An empirical examination. International journal of quality & reliability management, 20(8), 901-918. Prajogo, D. I., & Sohal, A. S. (2006). The relationship between organization strategy, total quality management (TQM), and organization performance––the mediating role of TQM. European Journal of Operational Research, 168(1), 35-50. Rodrigues, R. G., & Raposo, M. (2011). Entrepreneurial orientation, human resources information management, and firm performance in SMEs. Canadian Journal of Administrative Sciences/Revue Canadienne des Sciences de administration, 28(2), 143-153. Samson, D., & Terziovski, M. (1999). The relationship between total quality management practices and operational performance. Journal of operations management, 17(4), 393-409. Schein, E. H. (1984). Coming to a new awareness of organizational culture. Sloan management review, 25(2), 3. Shehu, A. M., & Mahmood, R. (2014). An Empirical Analysis of Market Orientation and Business Performance Relationship in the Context of Developing Economy. International Journal of Academic Research in Business and Social Sciences, 4(9), 457. Sigler, T. H., & Pearson, C. M. (2000). Creating an empowering culture: examining the relationship between organizational culture and perceptions of empowerment. Journal of Quality Management, 5(1), 27-52. Sila, I. (2007). Examining the effects of contextual factors on TQM and performance through the lens of organizational theories: An empirical study. Journal of Operations management, 25(1), 83-109. Singh, P. J., & Smith, A. J. (2004). Relationship between TQM and innovation: an empirical study. Journal of Manufacturing Technology Management, 15(5), 394-401. Slater, S. F., & Narver, J. C. (1998). Research notes and communications customer-led and market-oriented: Let’s not confuse the two. Strategic management journal, 19(10), 1001-1006. Slater, S. F., & Narver, J. C. (1995). Market orientation and the learning organization. Journal of Marketing, 59(3), 63‐74. Suliyanto, S., & Rahab, R. (2012). The role of market orientation and learning orientation in improving innovativeness and performance of small and medium enterprises. Asian Social Science, 8(1), 134. Tajeddini, K. (2010). Effect of customer orientation and entrepreneurial orientation on innovativeness: Evidence from the hotel industry in Switzerland. Tourism Management, 31(2), 221-231. Talib, F., Rahman, Z., & Qureshi, M. N. (2010). The relationship between total quality management and quality performance in the service industry: a theoretical model. International Journal of Business, Management and social sciences, 1(1), 113-128. Tan, B. I. (2013). TQM adoption and organisational performance of family owned businesses: a literature review and proposed structural model. International Journal of Modelling in Operations Management, 3(1), 1-19. Teece, D. J. (2007). Explicating dynamic capabilities: the nature and micro foundations of (sustainable) enterprise performance. Strategic management journal, 28(13), 1319-1350. Teixeira, H. N., Lopes, I., & Sousa, S. (2015). Prioritizing quality problems in SMEs: a methodology. The TQM Journal, 27(1), 2-21. Thai Hoang, D., Igel, B., & Laosirihongthong, T. (2006). The impact of total quality management on innovation: Findings from a developing country. International journal of quality & reliability management, 23(9), 1092-1117. Urban, B. (2010). Technology and entrepreneurial orientation at the organisational level in the Johannesburg area. SA Journal of Human Resource Management, 8(1), 9-pages. Valmohammadi, C., & Roshanzamir, S. (2015). The guidelines of improvement: Relations among organizational culture, TQM and performance. International Journal of Production Economics, 164, 167-178. Valmohammadi, C., & Servati, A. (2011). Performance measurement system implementation using Balanced Scorecard and statistical methods. International Journal of Productivity and Performance Management, 60(5), 493-511. Vieira, V. A. (2010). Antecedents and consequences of market orientation: a Brazilian meta-analysis and an international mega-analysis. BAR-Brazilian Administration Review, 7(1), 40-58. Wales, W. J., Gupta, V. K., & Mousa, F. T. (2011). Empirical research on entrepreneurial orientation: An assessment and suggestions for future research. International Small Business Journal, 0266242611418261. Walter, A., Auer, M., & Ritter, T. (2006). The impact of network capabilities and entrepreneurial orientation on university spin-off performance. Journal of business venturing, 21(4), 541-567. Wang, C. H., Chen, K. Y., & Chen, S. C. (2012). Total quality management, market orientation and hotel performance: The moderating effects of external environmental factors. International Journal of Hospitality Management, 31(1), 119-129. Wang, H. K., & Yen, Y. F. (2012). An empirical exploration of corporate entrepreneurial orientation and performance in Taiwanese SMEs: A perspective of multidimensional construct. Total Quality Management & Business Excellence, 23(9-10), 1035-1044. Wanjau, K. L., Gakure, R. W., Peterson, O. M., & Kahiri, J. (2013). The Role of quality adoption In Growth and Management of Small & Medium Enterprises in Kenya. European Scientific Journal, 9(7). Wijetunge, W. A. D. S., & Pushpakumari, M. D. (2014). Entrepreneurial orientation and business performance of small and medium scale enterprises of Western Province in Sri Lanka. Kelaniya Journal of Management, 2(2). Wiklund, J., & Shepherd, D. A. (2011). Where to From Here? EO‐as‐Experimentation, Failure, and Distribution of Outcomes. Entrepreneurship Theory and Practice, 35(5), 925-946. Wilson, G. A., Perepelkin, J., Di Zhang, D., & Vachon, M. A. (2014). Market orientation, alliance orientation, and business performance in the biotechnology industry. Journal of Commercial Biotechnology, 20(2). Xenikou, A., & Simosi, M. (2006). Organizational culture and transformational leadership as predictors of business unit performance. Journal of managerial psychology, 21(6), 566-579. Yusof, S. R. M., & Aspinwall, E. (2000). Total quality management implementation frameworks: comparison and review. 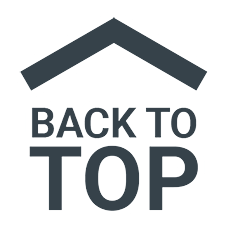 Total Quality Management, 11(3), 281-294. Zainol, F. A., & Ayadurai, S. (2011). Entrepreneurial orientation and firm performance: the role of personality traits in Malay family firms in Malaysia. International Journal of Business and Social Science, 2(1). Zakuan, N. M., Yusof, S. M., & Shaharoun, A. M. (2009, December). The link between total quality management and organizational performance in Malaysian Automotive Industry: The mediating role of ISO/TS16949 efforts. In Industrial Engineering and Engineering Management, 2009. IEEM 2009. IEEE International Conference on (pp. 439-443). IEEE. Zehir, C., Müceldili, B., Zehir, S., & Ertosun, Ö. G. (2012). The mediating role of firm innovativeness on management leadership and performance relationship. Procedia-Social and Behavioural Sciences, 41, 29-36. Zelbst, P. J., Green Jr, K. W., Abshire, R. D., & Sower, V. E. (2010). Relationships among market orientation, JIT, TQM, and agility. Industrial Management & Data Systems, 110(5), 637-658. Zheng, W., Yang, B., & McLean, G. N. (2010). Linking organizational culture, structure, strategy, and organizational effectiveness: Mediating role of knowledge management. Journal of Business research, 63(7), 763-771. Zhou, K. Z., Li, J. J., Zhou, N., & Su, C. (2008). Market orientation, job satisfaction, product quality, and firm performance: evidence from China. Strategic Management Journal, 29(9), 985-1000. Zu, X., Robbins, T. L., & Fredendall, L. D. (2010). Mapping the critical links between organizational culture and TQM/Six Sigma practices. International Journal of Production Economics, 123(1), 86-106. Employer branding: What constitutes An Employer of choice?